Home This Week's Edition Advice Dating Forum: Daddy Knows Best? 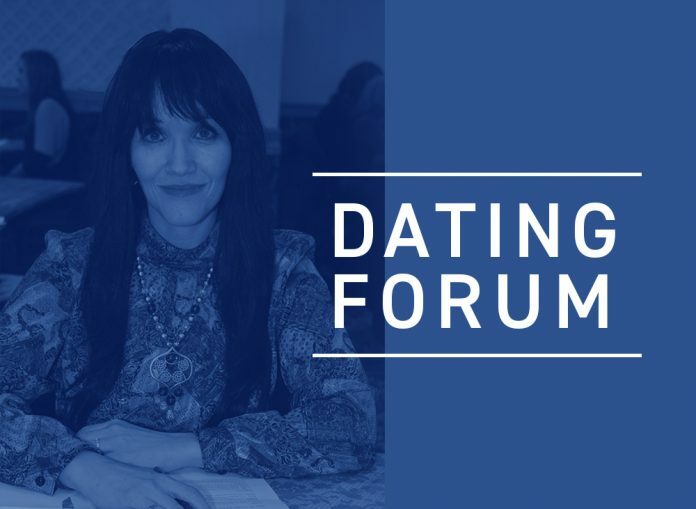 Dating Forum: Daddy Knows Best? I was seeing a girl for a long time, and she was everything I was looking for. My dad made me break up with her, however, because he didn’t trust her and felt she was a gold-digger. He put a lot of pressure on me, and he helped me through the process of breaking up, and I was OK dealing with it. He pushed me to start dating again, but the shidduch thing is not my scene, and I hated it. He then convinced me to go to a singles event, and I met somebody I like. She is beautiful, smart, and studying for the same profession that I am in. We started dating, and things got pretty heavy, and now I want to marry her. Here’s the thing. My parents are divorced, and so are her parents. I met her parents, and they are nice. I introduced this girl to my dad. He liked her a lot, but after speaking to her, he realized that he dated her mom years ago. Things ended badly between them, and now he wants me to break up with her. I have a feeling that even though her mom doesn’t say anything, she hates my dad, but she is OK with me. My dad is a good guy, but he gets that way with people sometimes. What I want to know is if a girl is cool, will she eventually become like her mother? We are still seeing each other, but we’re keeping it quiet and hidden from my dad. I know that he suspects something, so I asked my rabbi what he thinks. 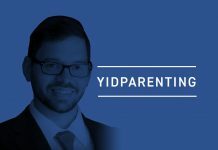 My rabbi says it’s not worth upsetting my dad, and I could always meet someone else. The girl is pretty, like I said, so I’m sure she will find another guy. My dad actually says that all the time! I wonder if maybe there is a way to get him to approve. I am so torn up inside, because I really love her and I want to marry her. What you really want to know is how many relationships you will have to go through before your father decides that he will like the girl and everyone in her family. And if something or someone from her family irks him, must you abide by his biases and break up with her? Surely you realize that your dad is not very reasonable where it relates to your relationships. How many times can you break up with a girl you like just to please him? Since you are so afraid of your father’s disapproval, you decided this time to date the girl behind his back. However, you cannot play Romeo and Juliet for the rest of your life. As you know, this fictional, ill-fated couple was not successful in reconciling their families’ differences. Take a lesson from Shakespeare. You will not change your father’s view of this girl’s mother or anyone else you decide to bring home for him to meet. I can understand that it is important to you that both your parents approve of your choice in a wife and can be happy for you. But that is in a perfect world. I wish I could tell you to ignore your father’s harsh opinions and go live your life. However, the reality is that no matter how old a single man or woman may be, most people crave the seal of approval from their family, especially parents. Not only that, but second-guessing oneself is common when in a serious relationship. It is also a time when there is a natural instinct to find negativity in the person one is dating, so as to avoid major life changes, which can be scary. One bad word or supposed well-meaning piece of advice about the person you are dating, and suddenly there is reason to consider breaking it off. And as this type of feedback is coming from your father, it’s no wonder you are in this state of confusion. There are, of course, situations where one or both parents are not wrong when objecting to a prospective spouse their child is dating. In such cases, there are obvious flaws that make the couple incompatible with one another, usually to such an extent that everyone else around them will agree. That, too, is not an easy situation to be in, as it becomes a conflict where the parents are trying to do what is best for their child, and the child is fighting back to maintain the dating relationship. More often than not, the more the parents object and fight with their child to break up with the person of interest, the stronger the bond becomes between the dating couple. Parents frequently ask me for advice how they can break up a relationship between their child and someone they don’t like. Sometimes the reasons are of a serious nature, where there is major cause for concern. Other times it’s of a selfish nature — meaning, the parents don’t have any concrete reason for rejecting the person their child is dating except that they had another type of person in mind for their child to date. In either case, I typically advise the parents to not do anything extreme, but to explain their concerns to their child in a loving, respectful way. The fact is that the more drastic actions parents take, the closer the couple will be drawn to each other and will continue to secretly date — as you are now doing. In your previous relationship, your father believed the girl was a gold-digger. What exactly did she do, or how did she behave, to give your father such an impression? In an effort to encourage you further, did he also put the idea into your head that because she is pretty she will have an easy time finding someone else, as you are saying about the girl you’re currently dating? I must say that your statement about her having an easy time replacing you is preposterous. People are not interchangeable. You don’t just trade in one for another. Let’s focus a bit on this girl now. You sing her praises, and your father agrees with you and likes her. So what if he dated her mother and things did not end well? What does that have to do with her daughter? You wonder whether she can turn out like her mother, but we do not know if that is the complete story. Did your father tell you what happened in his relationship with the girl’s mother? Or is it just that he cannot psychologically deal with having to run into her as a mechutan should you marry the girl? If so, with respect to your father, he is being selfish. I am so sorry that upon reaching this milestone in your life and meeting someone you consider for marriage, the happiness that you are entitled to is being ruined for you. There is no decision more important and exciting at the same time than deciding to marry someone. That you cannot have your father’s happiness for you and his blessings is a painful burden on your emotions. You must also be dealing with lack of inner peace as you struggle with mixed emotions. Here is what I advise. If this girl has no clue about what is currently going on, now is the time to tell her. Perhaps she can speak to her mother and find out more details, which will shed a bit more light on what really happened between them when they dated one another. If need be, find out what you can about her parents and why they got divorced. Those pieces of information may be vital in helping you to understand the bad blood between your father and the girl’s mother. 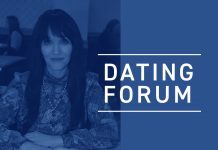 It is very important to find out why the rabbi feels you should not make waves and upset your father by continuing the dating relationship. Make sure that he clearly spells out what his qualms are (if any). If it turns out that whatever happened in the past has no bearing on your future relationship, that does not necessarily make your father a bad person; rather, his behavior is likely misguided. It could also be an issue of societal acceptance, such that your father wants you to date someone from a different type of family. Once you get the story straight — or at least most of it — you and the girl you want to marry must sit down and strategize. It will also be helpful if you can get a person of authority to guide you both. If it turns out that your father is placing his own fears and issues on you, which have nothing to do with your relationship, to be fair, he might be trying to protect you from something that he believes is negative. But even though it might seem that he is doing the right thing, that still does not make it right for you. If you discover something disturbing about her mother or her relationship with your father, you will have to consider the impact it could have on your future. No one can possibly predict whether or not this girl will turn out like her mother. If the two of you really want to be together, and, from your perspective, whatever the relationship these people had with each other has nothing to do with the life you want to build with this girl, then you are doing nothing wrong in marrying her should she want to marry you. You are halachically permitted to marry the girl you choose, even when a parent does not approve. Should it come to that, you will have to explain to your father how much you love him and appreciate all that he has done for you, and that it is important to you to have his approval. However, in a confident tone, stress to him that you plan to move ahead with an engagement and marriage. At the end of the day, these situations do have a way of falling into place, and in most cases, the parents eventually do come around. While the mechutanim may end up ignoring one other, it’s their problem to learn to be mature. I will warn you that in a small number of cases it has happened that there is a stubborn parent who refuses to budge and will continue to object. That is why I told you to find a person of authority who can be there for you. As much as it is important for everyone to get along, there are many marriages that have succeeded despite that friction.